Far Cry 5: The wait of the millions is going to over soon with the release. 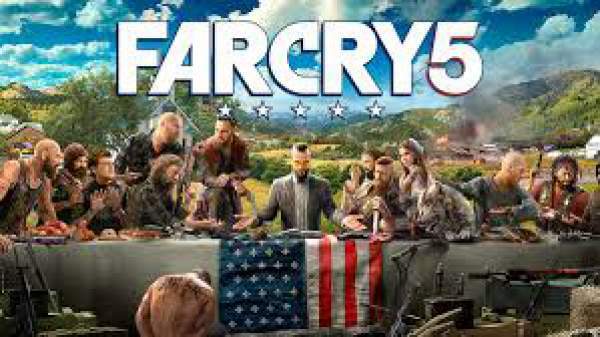 With this comes the feature trailer of the fifth installment of the Ubisoft’s power packed shooter game FarCry, Far Cry 5!! It will be available for PC, PS4, and Xbox One. Here we have come up with all you need to know about the upcoming sensational game. Fry Cry is the first person shooter video game released by Ubisoft. So far, first four installments and several spinoffs have already been released. And keeping up with the public’s demand, Ubisoft has come up with the announcement trailer of the fifth game in the main series, which some say would probably be known as Far Cy 5: The Verge. 4.1 And who you will be? 5 Far Cry 5 Animals: Go, Hunting! 6 Far Cry 5 Mode: Time to play together! 7 Far Cry 5 Vehicles: What can we drive and fly? It seems that the evil Seed family has set up a new cult: The Project at Eden’s Gate. And further, these guys are seen recruiting the members of the county as their followers, willingly or unwillingly, by hook or crook, going for any way possible- be coercion, persuasion, manipulation and sometimes even brute force at gunpoint. And that is when you enter the scene, the deputy sheriff of Hope County, tasked with the hilarious mission of going to their place of worship and arresting their leader- Joseph Seed. Everything seemed to be according to the plan, until the moment a crowd of followers gathers around the church and knowing what your purpose there is actually, you surely can’t hope to get in one piece from here easily. You are taken captive along with your two deputies. As you move on the journey to survive the Hope County, you are surely helped by some of the survivors but still, it all counts on how well you handle your buttons. Related: Fall Out 5 Release Date. The game is slated to launch on February 27, 2018, for PC, Xbox One, and PS4. It becomes clear from the bunch of trailers launched by Ubisoft that you have got at least three allies on your side, deep inside the County itself, the citizens of the county who will help you with the escape. To start with, we have got gorgeous Mary May, the owner of a local bar who had lost both of his parents to the evil plans of the Seeds’ family. And holds grudge enough to have a determination to destroy the Seeds to the very inch of their core. Another guy in this small list on of guys on your side is Pastor Jerome. A teaser trailer shows Jerome quoting the Bible, Jeremiah 23:1 – ”Woe to the man who leads my flock astray, says the Lord”, before picking up a gun and leaving his now-decrepit church to take on the Seed’s. The video is clear enough to vignette the reason for this- he seems to have lost all his followers to the misleading concept of The Project at Eden’s Gate. And then comes in your ride- a stark yellow biplane with Gatling guns on both sides strong enough to make sure that Seeds get to befitting end. And the owner is the son of the World War 2 pilot- Nick Ray. Apparently, his grandfather also fought alongside his father. Flying is in his blood itself. And surely he would like to pass on the skill to his unborn baby also. But will it really be possible amidst all the destroying plans of The Project at Eden’s Gate? And so you have got your third mate who will help get over with the project once and for all. And when it comes to Seeds, nothing much is known about the family itself other than the fact that these guys have their helm in the hands of a man called Joseph Seed. Also, Joseph has got three siblings known as “The Heralds” who also leads The Project at Eden’s Gate. Hopefully, developers will release more trailers depicting the Hows and Whys of their villains. And who you will be? And now talking about the most important of the whole game- you- aka the main character! What is really amazing and new about this game is that you get to have the very own personalized character of yours. Yes! From now on you won’t have to bear with either an Ajay Ghale or a Jason Broody. In this version of the game, you get to play as a man or as a woman, whatever you prefer and can choose your own name. Check: Red Dead Redemption 2. Far Cry 5 Animals: Go, Hunting! The Far Cry series is well known for including a wealth of flora and fauna for us to hunt and master at. And if we look at the trailers, cows, and deer as well as a variety of birds seem to be available for the pleasure. Even though there has not been any official announcement about such matters, one can expect a lot on these lines. And when our experts had a look at the wiki page of the Montana a long list consisting of lynx, gray wolves, bighorn sheep, elk, moose, mountain lions, mountain goats and much more. So go for it! Related: The Last of Us 2. Far Cry 5 Mode: Time to play together! And another newly added feature this time would be the ability to play together, taking the game to a whole new level. It’s being anticipated that as deputy will be accompanied by two of his mates, they only will provide a great chance for the developers to go into co-op mode. So at least three of you can enjoy the game together! Along with the regular “Guns for Hire”, wherein you get an assistant to choose your ammo, you also have the option to go for “Fangs for Hire” in which animals can be recruited, too. Far Cry 5 Vehicles: What can we drive and fly? In the released trailers, we have seen many ways by which players can travel across Hope County. A muscle car was featured in the game as well as players will be able to fly planes with the help of Nick Rye. Related: Call of Duty 2017. Ubisoft has released a number of trailers introducing the world and its new characters. Let’s have a look at them. Let’s know your Far Cry 5 wishlist. What are your views and thoughts regarding the upcoming game? Do share in comments. Stay tuned to TheReporterTimes for latest Far Cry 5 updates.